: : i found these two ladies on the third floor of one of the open studio buildings. two friends who now run their separate business,.emily. 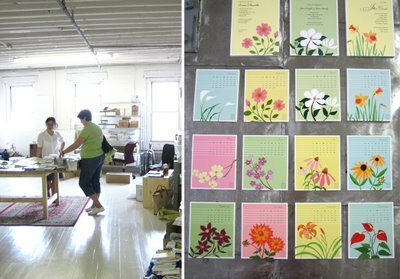 makes beautiful prints for cards and calendars [gallardoworks] and .megan. [MEGillustrations] does illustrations for books but is also bringing some of her characters into 3D on these fun handmade pillows. it was a pleasure to meet them both. i bought a few prints that are now waiting to be framed...I can't wait until they are up on the wall. Ed Hardy T-shirt and Ed Hardy Jeans,maybe I need both.I like Ed Hardy so much.